Once you pass the online course and proceed to the payment page, you will be asked to provide HUNTERcourse.com with your New Jersey Conservation Identification Number (also known as the CID#) before you can get your voucher. The CID# is assigned to you the first time you purchase hunting/fishing licenses, permits, stamps, or register for a hunter education course (or Field Day) with the New Jersey Division of Fish & Wildlife. This lifetime 9-digit number appears on all licenses and permits. The CID# is used whenever making a transaction or checking on permit status on the license Web site. Once the CID # is assigned to you, you can also access your information using other identifying information, such as your Social Security Number and date of birth. For more information on the CID number or to get a CID number, please visit the following link: http://www.njfishandwildlife.com/als/websalesintro.htm (you must scroll to the bottom of the page and click on the "Start Here" button). PLEASE NOTE: you ONLY need to complete Step 1 to receive your CID number. After you select your ID preference and enter your information, please hit Continue. You will then be brought to Step 2 and your CID number will be available. 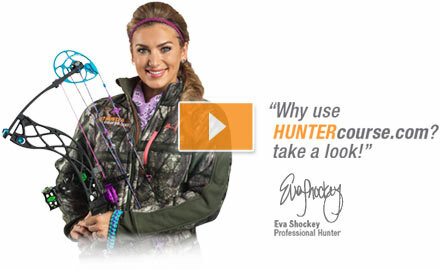 At this point, you do not need to continue and can hit Cancel and resume the NJ Online Hunter Education Course. Please save your CID number as you will need it when you have completed your course.